1 kg of ground crude pork meat (ham or blade, etc.). 100 ml of meat broth. Salt (~ 1 tablespoon) and ground pepper (~ 1 teaspoon) – to taste. Cumin – a little bit, to taste. Green parsley – to taste. Mix thoroughly meat with the broth, vinegar, crushed garlic, salt and spices. Let the mixture stay for ~1 hour (or longer) to make the meat impregnated with the salt and spices. You can also add some amount of chopped lard bacon if you like fatty dishes or some chopped onion. Wash intestines and make sure they do not have holes in them. Then stuff the meat into the intestines. 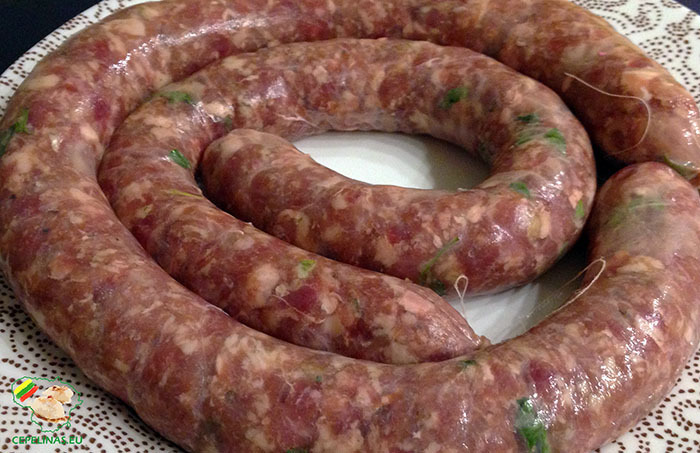 Sausage can be either long or divided into smaller sausages by the thread. 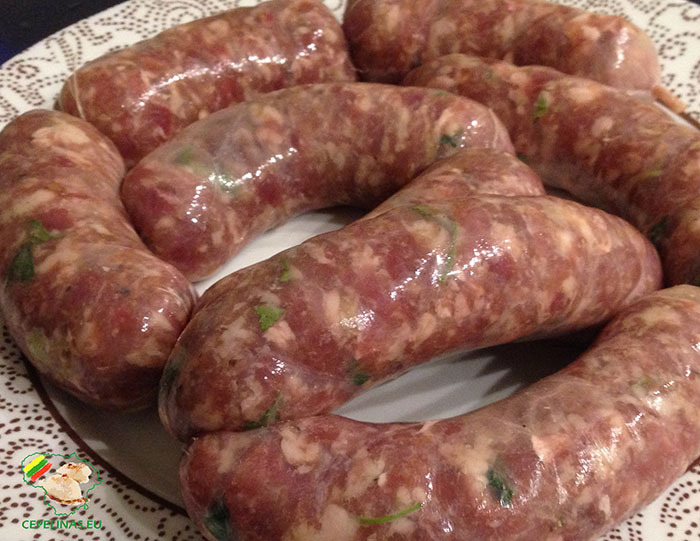 There are some ways to cook sausages – you can just boil it (20-30 min), fry on pan or grill.